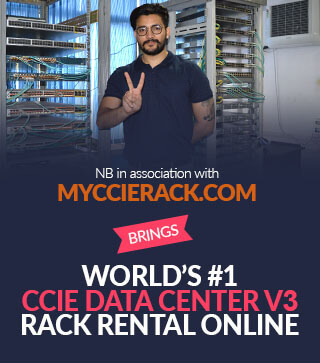 Note - Network Bulls is pleased to offer free CCIE (R&S, Security, and Voice/Collaboration) Rack Rental and lab preparation services to working professionals from all over India. Come and practice your way at our advanced Cisco racks and devices. Our 24X7 lab facility services give you flexibility to choose different time slots as per convenience. 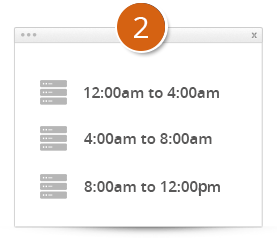 Dedicated lab technicians are available round the clock to make sure that you experience a smooth and fast remote access. Network Bulls also offers CCIE Rack rentals for Lab exam preparations. CCIE R&S V5 and CCIE Security V5 rack rentals are offered with two options (Online & In-House access); whereas CCIE Collaboration racks are offered at Gurgaon campus only. CCIE R&S V5 rack rental is available for candidates willing to prepare for CCIE R&S V5 Lab exam. We offer Online CCIE R&S V5 rack access to candidates who can’t visit our campus for CCIE R&S V5 Lab exam preparation. Those who can visit Network Bulls; can access V5 rack at our campus. If you are choosing In-House CCIE R&S V5 Rack rental at Network Bulls campus in Gurgaon then you can also avail bundled package of CCIE R&S V5 Lab Training that includes CCIE R&S V5 Lab exam preparation along with unlimited CCIE R&S V5 physical rack access till the time you clear your Lab exam. This package not only includes CCIE R&S V5 rack access, but also includes CCIE R&S V5 Lab workbooks along with solutions and guidance from CCIE R&S certified lab instructor. Network Bulls offers CCNP Security online rack access to candidates willing to prepare for latest CCNP Security certification exams. Online CCNP Security rack rental is suitable for candidates who cannot visit our campus in India. Physical rack access to CCNP Security racks is also available. CCIE Security V5 rack is also offered in both online and In-house modes. If you are choosing In-House CCIE Security rack rental services, you can also go for CCIE Security Lab Exam preparation training package which includes unlimited physical rack access along with CCIE Security Lab exam preparation, updated CCIE Security V5 workbook and Solutions, and technical help from CCIE Security V5 lab certified instructor. 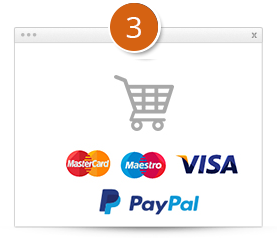 CCNP Voice Rack rental and Lab access is not offered online. Candidates willing to prepare for CCNP Voice certification can get CCNP Voice lab access in our campus in Gurgaon. CCIE Collaboration Rack Rentals are provided at our training center only. 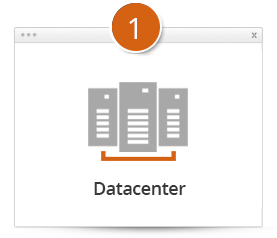 No Online access is provided for CCIE Collaboration racks. CUPS Server, 3 Video Phones 9971, 5 IP Phones 7961, 7965. We recommend you to go for CCIE Collaboration Lab training package instead of opting for per month rack rental services. CCIE Collaboration Lab exam training package consists of unlimited CCIE Collaboration rack access, technical help from lab instructors and Updated CCIE Collaboration workbooks. I enrolled with NB for Online CCIE Security Rack Rental and CCIE lab training package. After practicing on CCIE Security rack for 1 month, I decided to stay at NB for 1 more month and join CCIE Security study group to prepare for CCIE Security lab exam. It was fun learning here at NB. We made a group of 5 students who wanted to appear for CCIE Security lab exam. After 2 months of hard work and because of awesome Rack Rental and Lab training services offered by NB, I passed my CCIE Security lab exam in first attempt. My special thanks to Mr. Mohit Bhalla and Pravin Kataria sir for their guidance. I joined Network Bulls for CCIE Security Integrated course & my trainer was Mr. Vikas, Triple CCIE#30078. I finished my training recently & while working with Spice Jet I prepared for CCIE Security V4 Lab exam in weekends. I practiced hard at NB labs which finally paid off. Thanks !